Our team at Wichita Optometry understands vision and the conditions that disrupt it, like keratoconus. We have helped residents in the Wichita area see clearly for years, and we can help you too. So, what is keratoconus? We are so glad you asked. Read on to learn more about this rare condition and how our caring, professional staff can help you. The cornea is a transparent tissue over the front of the eye that is responsible for focusing and controlling the light that enters the eye. Conical cornea – also known as keratoconus – is a condition where the cornea bulges outward in a conical shape. Without the ideal domed shape, the cornea is unable to function properly, and vision becomes blurred. As the eye becomes less able to adjust to changing levels of light, visual clarity decreases as well. Keratoconus is a relatively rare condition that only affects roughly 200,000 people in the United States annually. Symptoms of the condition include eye and vision issues such as double vision, blurred vision, astigmatism, myopia (nearsightedness), night blindness, sensitivity to light (photosensitivity), and in extreme cases, complete blindness. Another telltale sign of keratoconus is the Fleischer ring. This is a ring of discoloration that appears around the cornea. With early detection and treatment by one of our licensed eye doctors, keratoconus is entirely treatable and even reversible. Depending on the severity, treatments range from temporary treatments to surgery. One option is orthokeratology, or corneal reshaping. 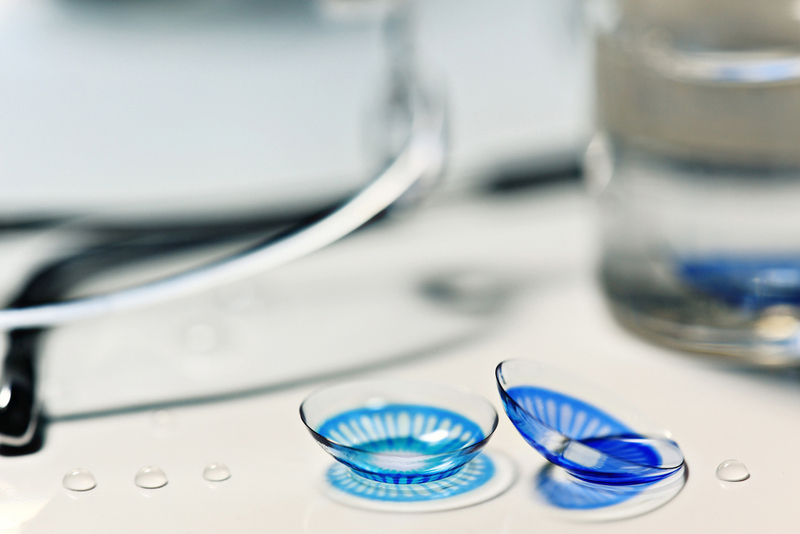 This non-surgical procedure utilizes a special contact lens to gently reshape the cornea. The lenses are worn during the night to provide clearer vision for the next day. Corneal reshaping is a treatment that lasts for one to four weeks and does not need to be repeated for roughly six months. Another non-surgical treatment also uses specially designed contact lenses – scleral lenses – to correct keratoconus. These lenses are larger than normal and rest on the whites of the eyes. This allows the smooth surface of the lens to span the entire cornea and thus correct the visual distortion caused by keratoconus. This is not a permanent fix, however, and scleral lenses will need to be worn indefinitely. If neither of these treatments work, our optometrist may recommend a surgical option. We will also be able to help you through every step of this procedure. For more information on keratoconus and methods of treatment, give our friendly, professional staff at Wichita Optometry a call at the Douglas Ave office (316-942-7496) or the Amidon office (316-838-7797), or stop by one of our offices today.